Happy Release Day Jon Messenger! Wind Warrior is finally here! WIND WARRIOR is now available!!!! Get it today for only $2.99! The sleepy town of White Halls harbors a dangerous secret. On a picturesque street, two houses down from a lovely little park, in a quaint little home with a wraparound porch, lives a family that seems rather normal. Sure, their twenty-year-old son, Xander, still lives at home, but he’s going to college and dating the leader of the schools top sorority. It’s all very… normal. However, when a man is miraculously saved from being hit by a bus, Xander’s life turns in to the living embodiment of the tornadoes he can suddenly create with a flick of his wrist. Whether he wants this gift or not, Xander must learn to use his new ‘super power’ quickly if he wants to survive. For his kind is a dying race, and when this sleepy town has a sudden influx of new, blonde, fire wielders, no one is safe, especially Xander. It doesn’t help that one of these blondes happens to be the most beautiful girl he has ever seen. Xander can’t deny the instant connection he feels to her so, when she tries to kill him, it certainly makes things complicated. Jon Messenger (Born 1979 in London, England) serves as an United States Army Captain in the Medical Service Corps. Since graduating from the University of Southern California in 2002, writing Science Fiction has remained his passion, a passion that has continued through two deployments to Iraq, a humanitarian relief mission to Haiti, and an upcoming deployment to Afghanistan. Jon wrote the “Brink of Distinction” trilogy, of which “Burden of Sisyphus” is the first book, while serving a 16-month deployment in Baghdad, Iraq. 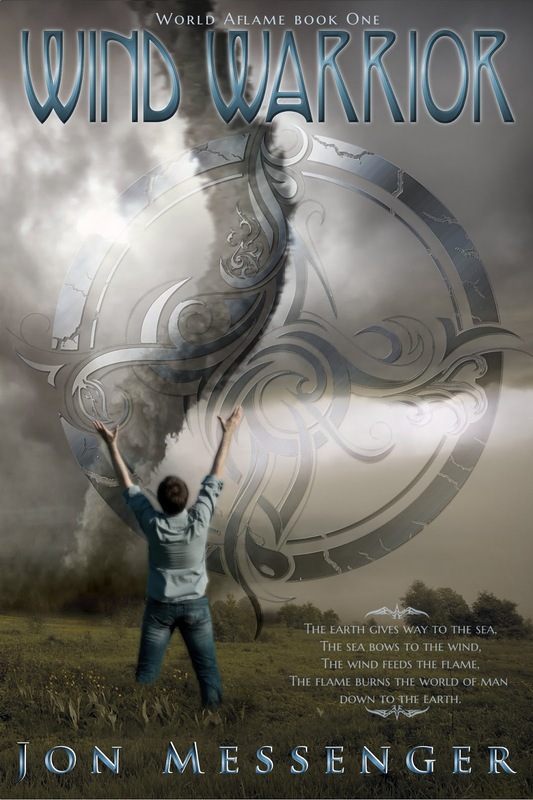 Wind Warrior is Jon Messenger’s break through novel published through Clean Teen Publishing. Jon Messenger has won a readers choice award as well as the Clean Teen Publishing writing contest for his Novella of Wind Warrior, which is also featured in Wonderstruck.